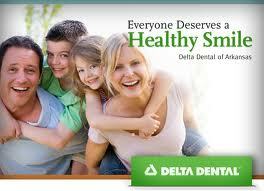 Our dental office not only take Delta Dental insurance like the average dentist in the dental industry. We are a Delta preferred provider office that offers anxiety-free sedation services including twilight sedation and general anesthesia. As of 2019, prior authorization may not be required for implants treatments under Dental Dental Insurance. If dental implants are not covered by Dental Dental, we can sometimes ask for ALTERNATIVE BENEFIT. Your dental insurance might not cover the implant surgery, but it has to cover something to replace the tooth. While less than the implant coverage, it's better than nothing. Sometimes it might cover crowns on teeth but not implant placement. In general, dental insurance services related to the surgical placement of a dental implant are usually limited to one per year with replacement of a surgical implant frequency limitation of usually one every 10 years. Implant crown replacement is usually limited to every 5 years if unserviceable and cannot be repaired. The frequency limitations of certain other implant covered services are set forth in Metlife fee schedule. How does going to a Delta Dentist works in Florida? as of 2019, Delta Dental and other dental insurance work in much the same way that medical insurance works. For a specific monthly rate called "premium", you are entitled to certain dental benefits, usually including regular dental checkups, cleanings, and certain copayment services like wisdom teeth extraction, root canal, and periodontal gums treatment. Some Delta Dental plans will provide broader coverage than others and some will require a greater financial contribution on your part when services are rendered. Some Delta Dental plans may also provide coverage for certain types of dental implants and laser periodontal surgery like LANAP and Deep Pocket Therapy. Typically, Florida dental PPOs plans like Delta Dental offers a broader selection of dentists providers than HMO managed-care plans. With a Delta Dental PPO, the patient pays for covered services after it receives a bill, which means that you may have to pay up front and then obtain reimbursement from your Delta Dental insurance carrier later. A Delta Dental PPO insurance plan applies the principles of PPO insurance to a dental network. You are free to choose any dentist you like from either the in-network or out-of-network lists, and you receive an agreed-upon level of benefits from the insurer according to the list you use. These types of policies are popular among both employer-provided and individual dental insurance plans because they offer the customer flexibility and freedom. You may go to any dentist, however, for maximum Delta Dental benefits at the lowest cost visit a participating network dentist. What's the benefit of seeing an in-network Delta Dental dentist? If your dentist is not on the network with Delta Dental you still receive benefits, but you will pay higher out-of-pocket costs for the dental services. What is the billing process with Delta Dental? Prior to receiving services, review your Delta Dental plan certificate for important plan information, such as deductibles, copayments or required waiting periods. When you visit a Delta dentist, simply present your Delta Dental identification card. The dentist will submit the claim to Delta Dental insurance on your behalf. Delta Dental will review the claim and reimburse the dentist for eligible charges. Delta Dental will mail an Explanation of Benefits (EOB) to your home. Your Delta dentist will bill you for your portion of the charges. If you visit a participating Delta PPO network dentist, your dentist cannot bill you for amounts over the negotiated fees, ensuring lower out-of-pocket costs for you. You pay your Delta dentist directly, if applicable. What services are covered by Delta Dental? What kind of plan do I have and what are my benefits? You need to sign in to your member account to find out what plan you have and the dental services it covers. We can verify benefits on your behalf. How do I check to see if I have met my deductible and/or what is remaining on my annual maximum? You would need to sign in to your deltal dental member account to access information about your plan. We can vefrify this information on your behalf. Do I need to select a primary care dentist? If you have coverage through DeltaCare® USA, our dental health maintenance organization (DHMO) plan, you will need to choose a primary care dentist (general dentist) from our DeltaCare® USA network. Lower out-of-pocket costs than if you received care from an out-of-network dentist because our network dentists have agreed to accept reduced fees. Balance billing is not allowed. Our network dentists agree to accept Delta Dental's fee and the patient co-payment or deductible (if applicable) as full payment. There are no forms for you to fill out because our network dentists submit claims directly to Delta Dental. We pay the dentist directly, so you don't have to wait for a reimbursement check. you can have confidence in our ongoing relationships with our network dentists, who we’ve ensured meet national credentialing standards. Does Delta Dental require claim forms? Where should claims be sent? We will submit claim forms on your behalf. If you do need to submit a claim yourself, we have forms available for download. Delta Dental Insurance Eligibility – How do you receive your eligibility information? Delta Dental insurance company receives your secure eligibility information from your employer. It is sent in through paper enrollment forms or by an electronic file. Your employer determines your Delta dental coverage effective date or termination date of coverage based on their benefit eligibility guidelines. Delta Dental Insurance ID cards – How and when will I receive my ID card for my Delta Dental PPO plan? You should receive a Delta Dental ID card approximately 7-10 days after you have enrolled. Finding participating Delta Dental Broward dentists – How do I find a Delta Dental dentist? You may find a network Delta Dental dentist on your insurance company online directory. You may search for a dentist by name, specialty, zip code like 33324 or miles you are willing to travel. You can search by city and state like Plantation Fl, or county and state like Broward Fl. You’ll even find maps and directions to your dentist’s office. For your convenience, our dental office is located in Plantation, FL 33324. If you have no computer, after you enroll, you can call your Dental Dental PPO dental customer service toll free for answers. You can call our experienced dental staff they are ready to help! Delta Dental claim reimbursement – How will my Delta Dental claims be reimbursed? When you visit a Delta PPO participating dentist: Participating Delta Dental dentists have agreed to offer certain services at a negotiated rate — so you generally pay less out of pocket for your care. Show your Delta Dental ID card during your visit. If your insurance plan has a deductible (a dollar amount you must pay for covered expenses in a plan year), you must meet the deductible before your insurance plan covers your eligible dental expenses. After you meet your deductible, you will pay a coinsurance amount (a percentage of covered expenses) at the time of service. Read your Delta Dental Benefits Summary to learn this amount. Your Delta Dental dentist may submit your claims for you. Nonparticipating Delta Dental dentists may bill you their normal fee for procedures. Your plan provides benefits for covered expenses at the established charge Delta Dental determines to be usual and prevailing for the service in that geographical area. When we determine the amount of a charge that is covered we may consider other factors, including the established charge in other areas. Aetna’s determination of the established charge does not suggest your dentist’s fee is not reasonable and proper. Your dentist may bill you for the difference between their normal fee and Aetna’s usual and prevailing fee. Your plan may have a deductible. The deductible is the dollar amount you must pay before your plan covers your eligible dental expenses. You may pay a coinsurance percentage or flat dollar amount. That means you’ll pay a percentage of covered expenses at the time of service. See your plan documents for specific amounts. You or your dentist can submit a claim form for reimbursement. Please note if you are enrolled in a PPO Max plan, your out-of-network benefits will be based on the in-network negotiated rate in the applicable geographic area. Please see your plan document or contact customer service for details on your specific plan. BOOK your dental appointment ONLINE!